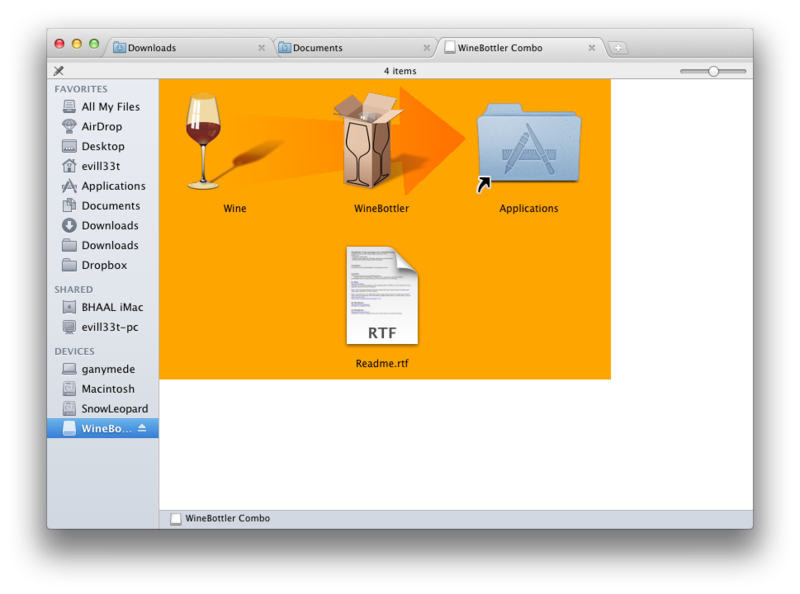 Installation is quite simple just drag'n'drop Wine and WineBottler to your application folder. 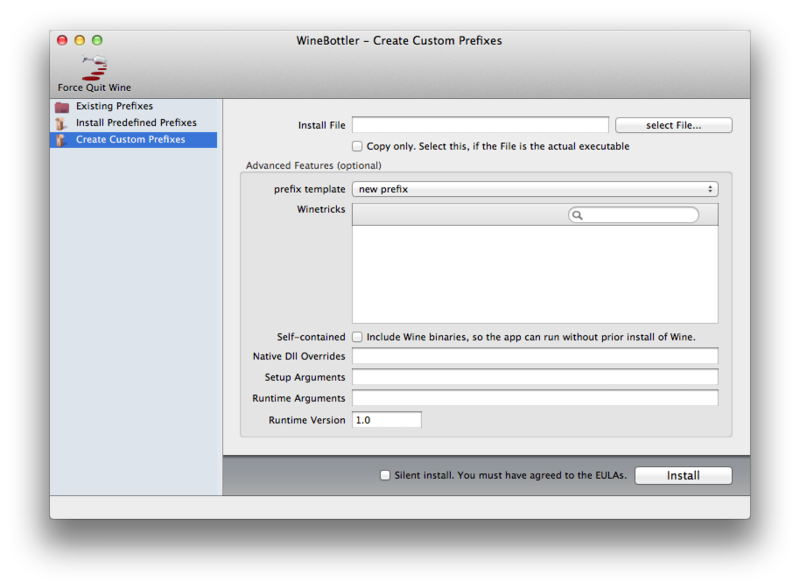 After starting WineBottler you can either install a predefined prefix which are some standard apps configurations built in WineBottler or create a new one by creating a custom prefix. As a web developer i need to check my webpages and applications in Internet Explorer to make sure everything is ok, so i choose Internet Explorer 7 from the predefined prefixes. Just click install to start. Few seconds later i have a Internet Explorer 7 application ready to start and share. It's not 100% perfect but good enough to test websites. 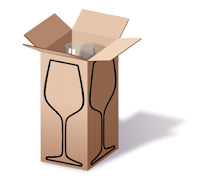 WineBottler is free and open source. It's using wine as backend so you can check the WineDB for compatible windows applications. Idd, IE is stupid, but this looks really interesting! "Linux users might know Wine the windows wrapper that allows them to run Windows applications" I know it all too well :) It's helpful but rather annoying -.- but now on mac? Interesting. 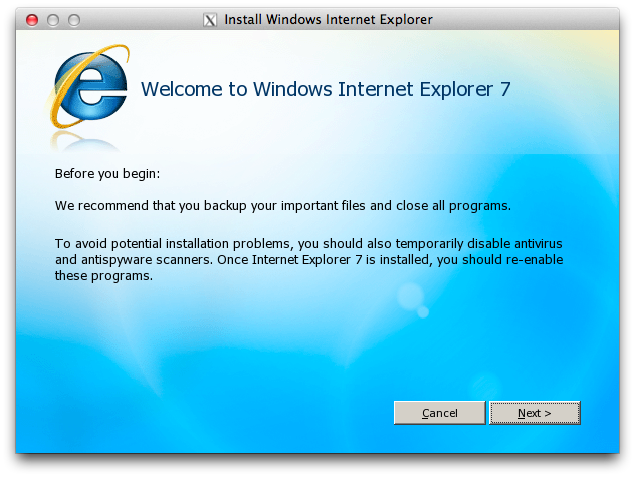 I uninstalled IE a couple of years ago, but you make me want to try it again. this should be useful, thanks! Why do you use Mac instead of a PC? I always preferred Mac to PC. See you around, brother! do you ask ppl why they drive audi instead of bmw? I might really need this since I've come across some programs that I would use with my PC back at home but I can't use with my Mac here in college. Great post! Even if you have no intention of using Microsoft Apps it's always good to at least have the option. Why would I need a IE in my mac? can you reverse, and make linux available for windows? this is good to know. i get to sound like a mac pro to my sister now. she has found this stuff very useful! This is awesome. When I finally get a mac, I'm sure I can put this to good use! It's good to see that Wine is finally becoming usable after ten years of development. So this is the same as wine for linux I guess? 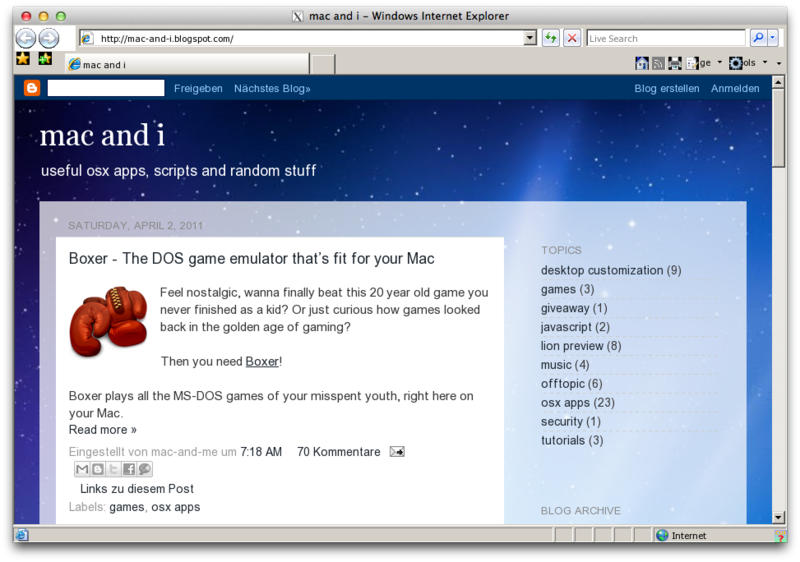 for windows apps i use windows, mac for when i dont feel like playing games and linux for everything else. i did all of this and IE will open but it freezes or just doesn't go to the page i search for. i have a website i need to access from home for work and it requires IE and my house only has macs. HELP! Same problem as above. 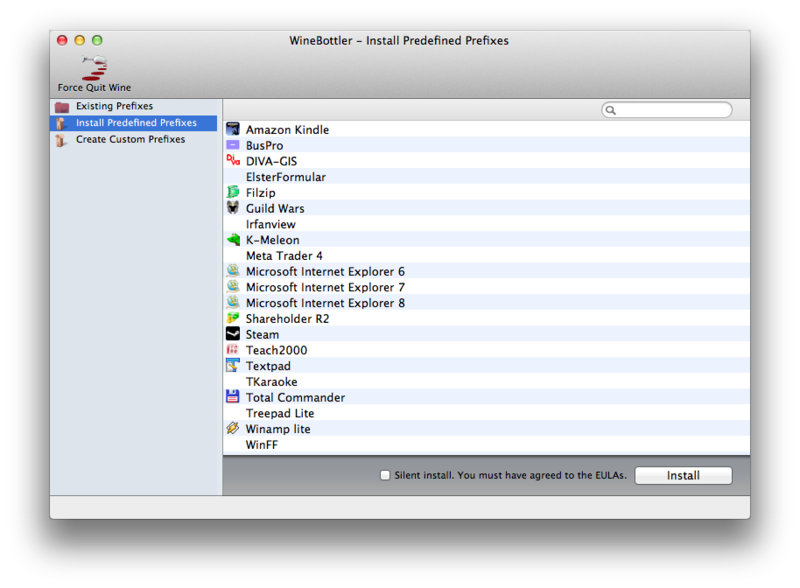 Could it possibly be that it doesnt work on OSX lion?